S ince 2013, NBNC has been part of a network of scientists working to better understand the migration of the Northern Saw-whet Owl, a common yet elusive member of our Vermont forests. It wasn't until 1906 that scientists discovered that these owls were migratory, and today much of their behavior still remains a mystery. Today, over 150 trapping stations throughout the Northeast capture, tag, and release these owls each fall. The Project OwlNet community has banded over 100,000 owls to date, revealing exciting insights into their migration timing, migratory routes, overwintering sites, and population cycles. 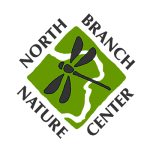 In October and November, NBNC invites the public to our banding stations to see and learn about the owls. When catching owls, visitors observe the bird-banding process and learn about owl morphology and ecology from our wild owl ambassadors. After the birds are released, NBNC naturalists and educators will discuss the highlights of the information we've learned here and share research findings from the Project OwlNet community nationwide. Visitors experience science in action and deepen their understanding of the natural world. Our research is made possible by the hard work of volunteers. We train a limited number of volunteers who are interested in developing the skills to participate in our banding process. In this program, volunteers commit a certain number of hours over the course of the season to become proficient in station setup, data collection, and eventually bird handling and banding. Click below to get involved. You can support owl banding through our Adopt-an-Owl program, which helps NBNC pay for the equipment and staff time required to run our citizen science programs. With your owl adoption, you will receive an official adoption certificate that includes a picture of your owl, its band number, date of capture/release, age, and gender. We'll update you whenever your owl is encountered again, at our site or elsewhere. Visitors to our public nights can even meet their adopted owl right before its release! A fun and unique gift for friends and family this upcoming holiday season. To adopt an owl, click the button below.